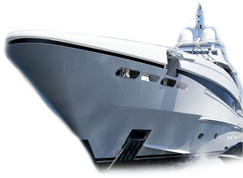 We can offer you to make especially adapted bracket to your boat if the platform needs to be reinforced. Send us a email and submit a sketch, we will then contact you for a quotation. 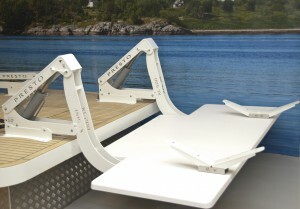 If you need an extra step, diving gear lift up or for any another reason, we can now offer you to buy an extra Swim Platform which is easy to install on the arms of both L200 and XL500. Our gunwale tie-down also features our SUR-Grip Kwik-Lok buckle and a built-in closure that stores excess web while trailering, as well as vinyl-coated S-hooks with Keeper.